We are experiencing major issues with 2.2 JTS engines where the oil filter is failing due to excessive amounts of waste blocking the filter which then gets crushed (see picture on right hand side of screen). 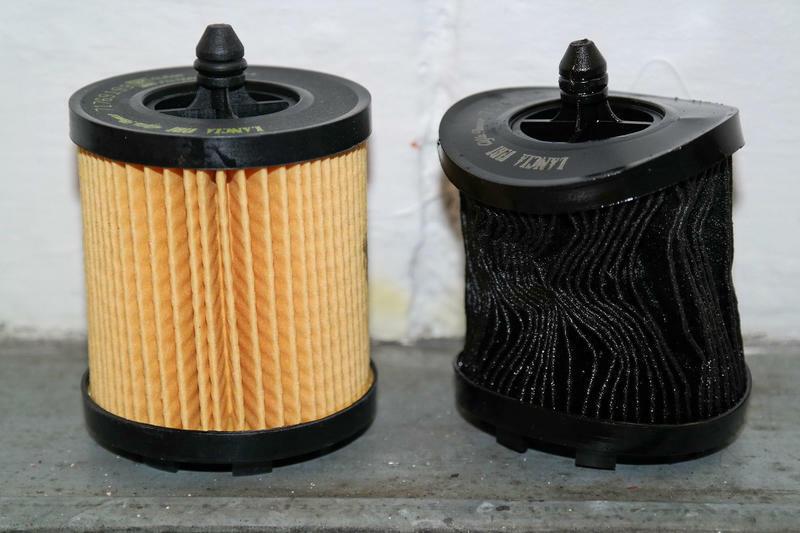 For this reason we are recommending an oil and filter change yearly or every 12,000 miles. Should you wish to use other specific items (eg Selenia Racing or HPX oils) we can easily use the parts you require and the cost will be adjusted accordingly.